In a move that will skyrocket consumer familiarity with a start-up named Boxee, the retail giant Wal-Mart will begin carrying Boxee TV in 3,000 of its U.S. stores starting tomorrow. The holiday season release of the set-top box is expected to be accompanied by large in-store displays, signage, and even in-store demos. This is a major gain for the Boxee company, which has been selling its product in relatively obscurity in stores like Best Buy for the last few years, until now. 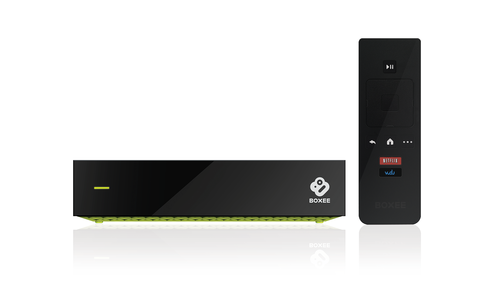 Boxee announced their new product just two weeks ago on their website, and set a release time for November. Staying true to their word, the product is expected to grace Wal-Mart shelves starting on the first of November. Priced at just under $100, the stick shock should be fairly minimal as Boxee TV is priced right in line with its biggest competitors, the Apple TV and Roku devices. It also places the item right in the impulse buy range for many holiday shoppers. Like its competitors, Boxee TV offers streaming of many popular services such as Netflix and Pandora. 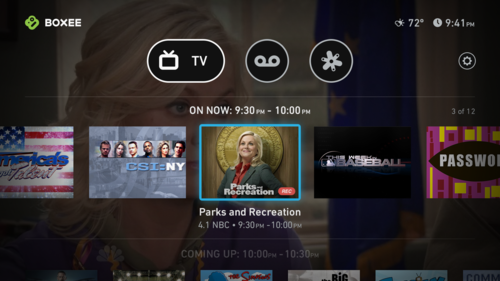 The difference is that Boxee TV wants to merge your online and traditional TV viewing habits together. 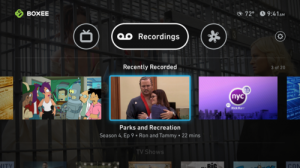 The device can connect directly to your antenna or unencrypted basic cable box, which is part of the setup for the biggest feature Boxee TV offers, No Limits DVR. Instead of storing your recordings on a local hard drive like other DVR services, the Boxee TV uploads your records directly to a cloud service, allowing you to literally save as much TV for viewing later as you would like. The box offers 2 tuners, so you can record and watch another program at the same time, which is a relativel common feature now, but still a nice addition. Boxee TV also allows playback on multiple devices, including tablets, TV, or your home computer. For the time being though, the No Limits DVR is available in only 8 major markets: New York City, Los Angeles, Chicago, Dallas, Houston, Atlanta, Philadelphia and D.C. There is, of course, a price for all of this unlimited goodness. The No Limits DVR is priced at $14.99 per month and the initial price of the box itself is set for $99.